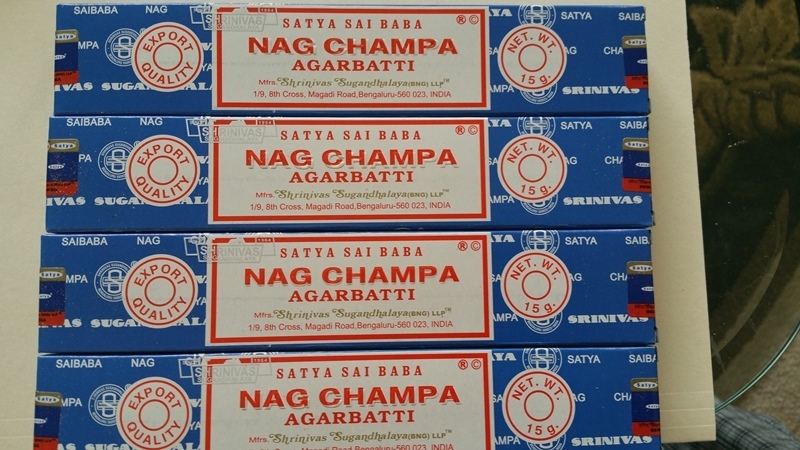 AUTHENTIC SATYA SAI BABA Nag Champa Incense Sticks new 2017 Series. It is popular with musicians, students and yoga studios and also well used as home fraganace. People will fell in love with exotic scent and its idea of spiritual internal peace. Each box is 15g and each stick is about 1g. Each stick will burn around 30min to a hour. It was first to introduced to the United States market in the 1970's and now well known by people all around the world.